Protect Medical Marijuana in Washington State! A doctor and patient claim Washington’s new medical marijuana regulations merging the industry with recreational pot markets violate their right to doctor-patient confidentiality. The law, which requires existing dispensaries to operate from a licensed retail pot shop and reduce patient possession amounts, will go in effect July 1. Dr. Gregory Carter and his patient Eric Mevis sued the state in Federal Court last week, saying the new rules are unconstitutional and violate the First Amendment rights of physicians and patients. Doctors are forced to violate federal law and patients are required to incriminate themselves under the new law, according to the complaint. “This action seeks a declaration that physicians and patients have the right, protected by the First Amendment to the U.S. Constitution, to communicate in the context of a bona fide physician-patient relationship, without intervention by the defendants, about the issue of marijuana as medicine,” the lawsuit states. The new law, known as the Cannabis Patient Protection Act, uses regulations in place for recreational pot use and adopts them for medical marijuana. Patient possession limits will be significantly reduced from 24 ounces to three ounces, and the number of plants a patient can grow is down from 15 to six. All medical marijuana dispensaries will also be forced to operate from a licensed retail pot shop or close. Carter is currently a medical director for a Spokane rehabilitation hospital. Mevis suffers from an incurable neurodegenerative disorder and uses medical marijuana for palliative care. They say the new regulations will also force them to give up doctor-patient privacy. Marijuana retailers are not authorized by the Food and Drug Administration or the Drug Enforcement Administration to dispense a schedule I controlled substance, according to the lawsuit. Carter and Mevis say the new system will require them to break federal law. Carter also claims the regulations interfere with his ability to properly treat patients by “arbitrarily” setting marijuana limits. Mevis says he will have to disclose possibly incriminating and private medical information to receive a required identification card for marijuana access. Carter and Mevis want an injunction preventing the bill from taking effect until the court can decide on constitutionality. They are represented by Douglas Hiatt in Seattle. NEW 2016 PEOPLE’S INITIATIVE TO SAVE MEDICAL CANNABIS! 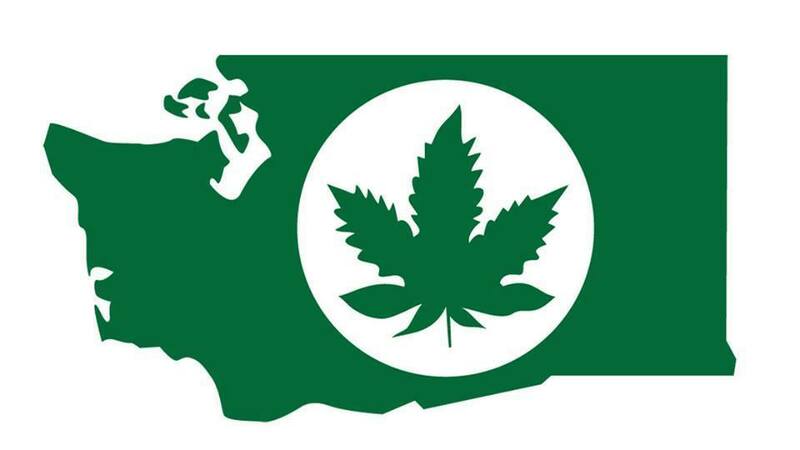 NEW PEOPLE’S INITIATIVE FROM The People For Medical Cannabis in Washington State​! Stay tuned for an official press release, information about how to financially support the signature gathering efforts and how to get copies to gather your own signatures – all coming soon. Stay tuned to this page for updates. This year’s initiative, the Washington State Cannabis Patient Reform Act I-1419, is now allowed to gather signatures for a November ballot. Delays with the Elections Division, so petitions are being printed now. Compassionate Use Washington is the grassroots campaign running I-1419 to the 2016 ballot. A Paypal account is being set up for those wanting to pay the shipping of petitions, and contributing to the campaign. The press release announcing I-1419 is being worked on, and will be released soon. Ballot Title: Initiative Measure No. 1419 concerns marijuana, also called cannabis. Read the full text of the Initiative here. This measure would create boards regulating cannabis production and sales; set fees and tax exemptions; allow unlicensed collective gardens; release offenders incarcerated for non-violent, cannabis-related crimes; and adopt or repeal other cannabis-related laws. Ballot Measure Summary: This measure would create a board to license and regulate medical-cannabis producers and dispensers; create a board to govern the recreational use market; release offenders incarcerated for non-violent cannabis crimes; create tax exemptions and impose fees; allow unlicensed collective cannabis gardens; address medical-cannabis use by minors; limit use of THC blood-concentration evidence; prohibit certain drug testing for marijuana byproducts; prohibit assistance with certain federal investigations; add criminal defenses; and adopt or repeal other cannabis-related laws. · Permits the legal private consumption of cannabis by adults of 21 years old or older, and medical patients. · Protects Employee’s from job loss prohibiting cannabis from being tested as an illicit substance, only if it is not specifically stated differently in the employment contract. · Protects organ transplant patients from cannabis consumption being the sole disqualifying factor for transplant eligibility. · Removed non-violent cannabis offenses from person(s) criminal record, and releases incarcerated non-violent cannabis inmates. No victim no crime. · Creates a Recreational Cannabis board replacing the Liquor Control Board’s involvement with cannabis, required to engage in the lawful process of open meetings to consider Public input as an agency representation for the public and by the public. · Drops Recreational Cannabis taxes per tier to a maximum of 10% per producer, processor, and retailer. The Board is direct to examine the 37% excise tax, and provide a product that is price competitive to eliminate the criminal market. · Creates a medical board to oversee medical cannabis specific issues, responsible for evaluating all angles of patient health, protection and over all well being. · Removes Medical Cannabis Patient Registry until Federal Rescheduling. · Restores private patient gardens with permitted possession of original DOH standard 60 day supply of 100 sq ft plant canopy and 35 ounces per patient. · Legal 6 home grows for adults 21 years old or older, with the board directed to increase possession limits. · Established Arrest protections and an affirmative defense for Medical Cannabis Patient’s, Providers, and HealthCare Professionals who recommend cannabis. · Establishes access and protection for Cannabis Refugees. · Medical Cannabis protection of property forfeitures and seizures of. · Protects Local Banks to allow “green friendly” accounts. · Requires the protection of the AG to vigorously defend this initiative as the will of the People. Several Seattle medical marijuana businesses have sued the state Liquor and Cannabis Board, alleging that regulators are not following rules in issuing new licenses for retail stores. Several longtime Seattle medical-marijuana businesses filed a lawsuit Friday against the state Liquor and Cannabis Board (LCB) alleging that regulators are not following their own rules in issuing a new round of licenses for retail stores. At issue is the process of bringing medical businesses into the state’s licensed recreational retail system. The Legislature last year gave the LCB authority to license new stores, with priority given to longtime medical players seen as good actors, in following rules and paying taxes. The lawsuit filed in Thurston County Superior Court by medical-marijuana activists John Davis, Philip Dawdy, Ken Adams and others contends that the LCB has not used a merit-based system to award new licenses. An LCB spokesman said agency officials don’t comment on lawsuits. One underlying problem, according to Friday’s complaint, is the priority system the LCB created to license new applicants and meet the Legislature’s mandate to shut down unlicensed medical-marijuana operations by July. State law gives top priority to applicants who applied for state recreational licenses before July 2014, who were operating or employed by collectives before 2013, had a business license and history of paying applicable state taxes and fees. The lawsuit says applicants have “cobbled” together teams that combine former collective employees with nonmedical entrepreneurs. Called “Frankenstein” applicants by some, these cobbled groups should not get licensing priority over longtime collectives, the lawsuit says, but apparently are. While many cobbled groups have merit, it is contrary to the Legislature’s intent to license them to the detriment of existing collectives, the lawsuit says. Other complaints in the suit allege that the state’s method for capping the number of retail licenses is flawed, and that the LCB’s requirement that applicants have a zero tax balance, instead of a “history of paying all applicable state taxes and fees,” is unfair. Applicants on a payment plan with the state or appealing state charges should not be penalized, the lawsuit argues. The lawsuit by the Spencer Palace Law firm of Everett seeks an order for the LCB to remedy the problem. A similar lawsuit was filed Thursday by attorney Elizabeth Hallock on behalf of Seattle’s Choice Wellness. The upshot of the state’s licensing plan is that Seattle’s total number of retail stores will double from an initial 2014 allotment of 21 to 42. But 48 medical storefronts met the city’s regulatory standards as good players in a culling process last year. It appears some will not receive retail licenses in Seattle. A team of attorneys will soon file a series of lawsuits to place an injunction on, and overturn Washington State’s Senate Bill 5052, a recently signed law that will drastically reduce the rights of medical cannabis patients in the state while closing dispensaries and establishing an illegal patient registry. Signed by Governor Jay Inslee in April, Senate Bill 5052 – which takes full effect in July, 2016 – will drastically reduce the amount of cannabis patients can possess and cultivate, making felons out of those who possess currently allowable limits. The measure will also lead to the closure of nearly every medical cannabis dispensary in the state, and will establish an illegal patient registry that is in clear violation of federal HIPAA laws. The lawsuits will seek to place an immediate injunction on the new law, preventing it from taking effect while the group works to overturn it permanently. The group of renowned attorneys who will be working on the lawsuits include Sensible Washington co-founders and longtime criminal defense attorneys Douglas Hiatt and Jeffrey Steinborn (who have 70 years combined legal experience), and attorney Aaron Pelley of Pelley Law LLC, among others. Hiatt tells us that the group will be filing two to three separate lawsuits that will seek to fully dismantle the new law, in order to protect the rights that patients currently have, and to prevent the state from establishing the patient database. They group plans to make a formal announcement in the coming days.